BlackBerry maker, Research in Motion, is clearly fighting an up hill battle for "mindshare" among customers and potential customers. The latest problem for the company, whose handsets are in decline due to strong sales of the Apple iPhone and phones based on Google's Android OS, could be coming from the very people RIM needs the most: application developers. "On a more serious note, being the underdog, you need to make your process AT LEAST as simple as Apple’s or Google’s, if not more so. You need to make your tools AT LEAST as good as Apple’s or Google’s, if not more so. You have failed at both." Ouch! I encourage you to read the full open letter to get the full context of what Mr. Murai is talking about, but the bottom line gets summarized nicely with the quote above. At least you don't need to have a BlackBerry smartphone to use all the features of the new PlayBook, like Palm was planning to do with the Treo and the Foleo. Oh, wait - you do need to pair a PlayBook with a BlackBerry. Nevermind. I am BlackBerry PlayBook App Developer in mobile app development company, I think you are wrong on this type of title :"BlackBerry Play Book App Development Too Difficult", But as my prospective, its development is easy as well as iPhone, iPad and other smartphone Application Development. Thank you for saying about useful survey. It needs to understand that mobile apps development could help in your industry by installing customized software applications. Also you may turn your attention on outsourced sharepoint developers. Wow very nice your given information related to the Sharepoint Developers thanks for sharing post. The decongestion in the SharePoint network would require additional processing power by increasing the number of servers, providing better storage and adding new hardware. 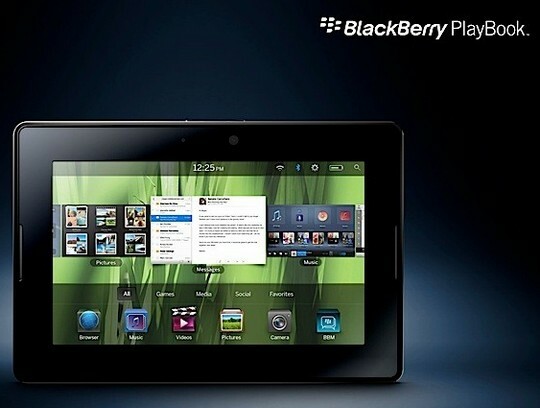 Blackberry PlayBook has very little in the way of apps, there recently launched tablet was nothing than a failure. Android and iOS have spent years developing, maturing and growing in popularity but with respect to that BlackBerry is nothing.